It was a near perfect day for golf. The air was cool and the winds were calm. The overcast skies keep the temperate down as the 2nd Annual Hearts for Sparks Golf Classic got underway in the early morning. 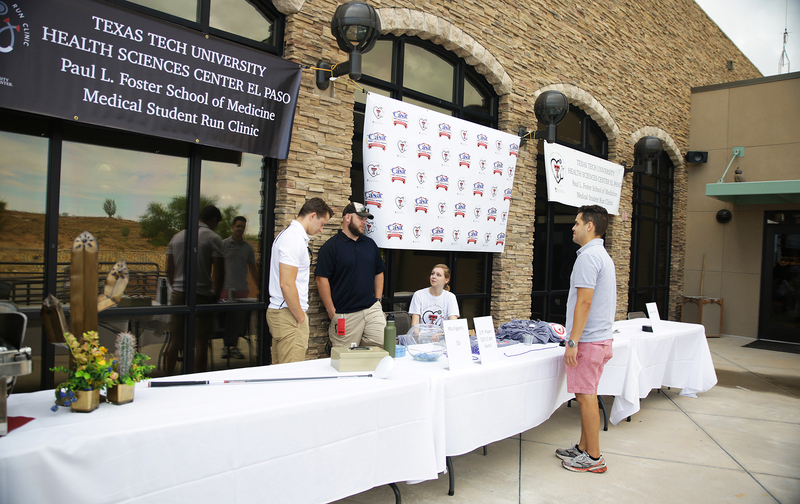 Participants from Texas Tech University Health Sciences Center El Paso (TTUHSC El Paso), including students, residents and faculty, and local golf enthusiasts alike streamed out onto the golf course, all smiles, in support of the Student Run Clinic. Located in Sparks, an unincorporated community in far east El Paso, the free clinic offers medical services to many of the residents in the underserved area. The clinic was started by medical students at the Paul L. Foster School of Medicine (PLFSOM) in 2013, and continues to provide a variety of services, such as vaccinations, triage and blood work twice a month. The Hearts for Sparks Golf Classic is one means through which the clinic is funded. All proceeds from the golf event go straight to the funding of the clinic and provide everything from basic medical supplies, such as syringes and dressings, to medical equipment. If this year’s funding goals are met, it may even mean a new portable x-ray machine for the facility. 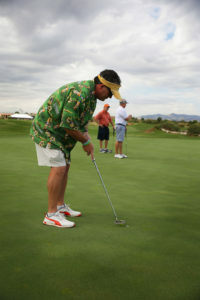 Last year, the golf fundraiser, coupled with a 5K fun run event, raised more than $7,000. This year, the event saw not only return participants from last year, but expanded sponsorship and participation. For the second year, the event was held at the Butterfield Trail Golf Club, where participants enjoyed breakfast, lunch, a free t-shirt and a few other goodies. Javier Ramirez won a new driver for the longest drive of the tournament. Tim Barno won a $50 gift card for being closest to the pin, and Saul Montoya won a $100 gift card for sinking the longest putt of the day. For sign-up or sponsorship information, or to donate to the Student Run Clinic, email Alejandra Garcia at alejandra.garcia@ttuhsc.edu.